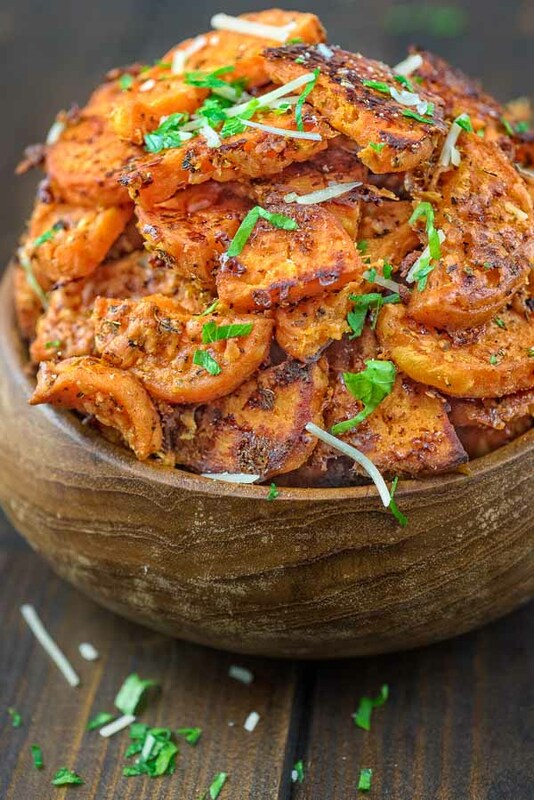 Crispy on the outside and tender on the inside, these flavorful Parmesan Sweet Potatoes make a great snack, or a side dish for your holiday table! These Parmesan Potato Fries are my new obsession. 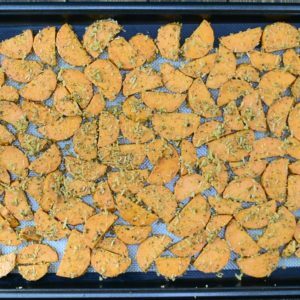 They are just so flavorful and easy to make! 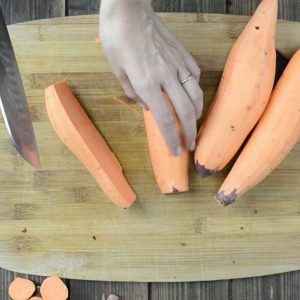 And since the sweet potato season is here, I’d love it if you would give it a try. 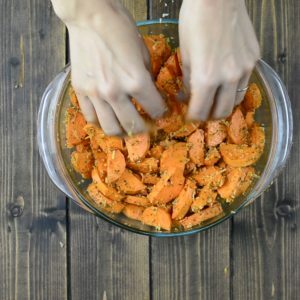 This recipe was inspired by my Parmesan Crusted Potatoes, and since everyone in my family enjoys them so much, I decided to try making them with sweet potatoes instead. The results were SO TASTY that I decided to share it on Cooktoria right away. I must confess though, that since this recipe was invented (about a month ago), I have made it six times already! 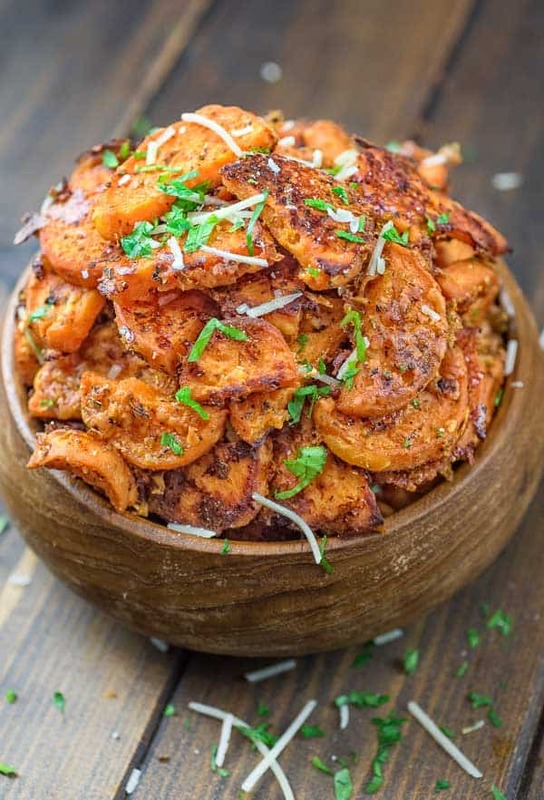 I am so in love with the flavor and texture that I couldn’t wait another second to share these Parmesan Sweet Potatoes with the world! 1. Preheat the oven to 450⁰F. Peel and cut the potatoes into 1/3-inch-thick pieces. 2. Place the potato pieces into a large mixing bowl and add all of the remaining ingredients (excluding the parsley). 3. 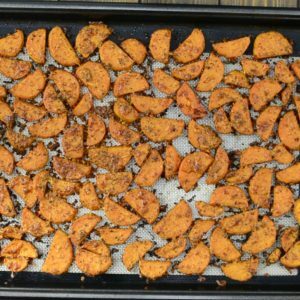 Line a large baking sheet with a silicone baking mat and spread the potatoes on top. Bake at 450⁰F for about 30 minutes, until potatoes are cooked through. 4. Garnish with shredded Parmesan and chopped parsley. 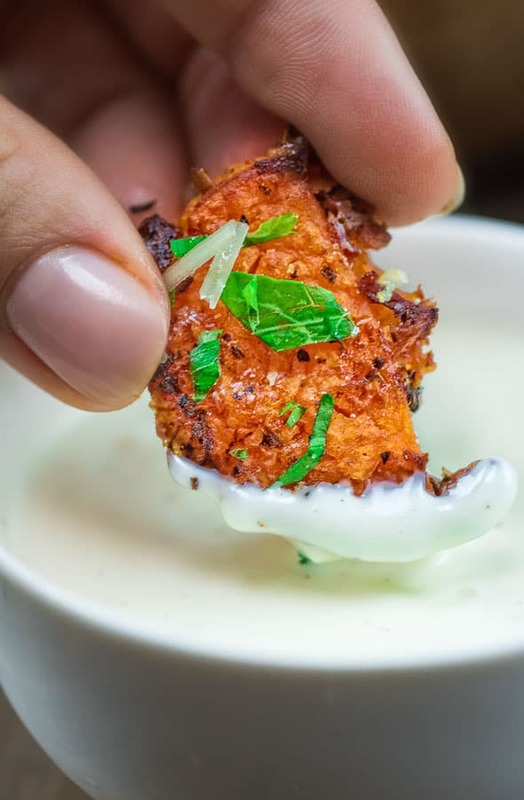 You may also use your favorite dip with these potatoes. Blue cheese, honey mustard, or garlic aioli will work great. Enjoy! Preheat the oven to 450⁰F. 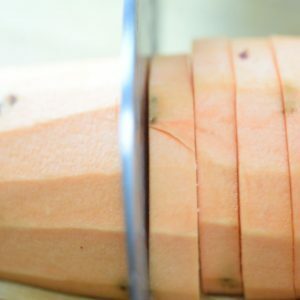 Peel and cut the potatoes into 1/3-inch-thick pieces. 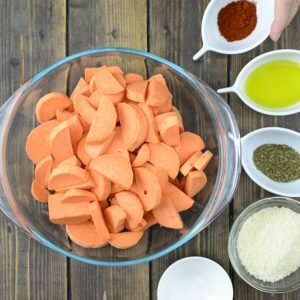 Place the potato pieces into a large mixing bowl and add all of the remaining ingredients (excluding the parsley). 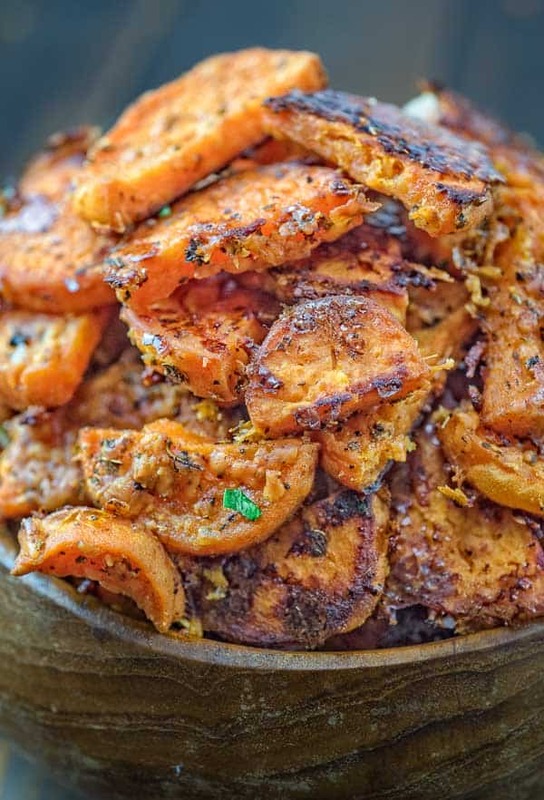 Line a large baking sheet with a silicone baking mat and spread the potatoes on top. Bake at 450⁰F for about 30 minutes, until potatoes are cooked through. Garnish with shredded Parmesan and chopped parsley.